Love; Isn’t That What It’s Really About? Now more than ever, price is a major factor when it comes to planning parties. But your wedding is probably one of the biggest and most meaningful parties you will ever plan. One of the biggest issues for couples when it comes to planning a wedding is cost. At some point or another, every couple must ask themselves, is the high cost really worth it? After all, isn’t this love we are celebrating here? I love outdoor weddings so much because you can do a lot of the work on your own. Having an outdoor wedding means that you have the creative freedom to plan an event that is both beautiful and cost efficient. This means, keeping the focus on you and your love, because that’s what the day is really about! Flowers, decorations, food, entertainment, and venue should all be a reflection of that love. Here are some things to consider while planning your wedding to make sure that you are staying true to you and your budget. Where is your wedding going to be? Finding the perfect venue is the first step before everything else falls into place. Generally, an outdoor venue is going to be less expensive than a wedding reception held in a hotel or a ballroom. While outdoor venues are less costly, they do take a lot of planning. Everything from food to decor is up to you to coordinate. Who will be attending? There is a big difference between one hundred guests and one hundred and fifty guests. Of course, there are always those people you have to invite. Consult with your families to make sure you haven’t left anyone out. Even though it’s hard to narrow down the guest list, try to think, will I regret not having invited this guest? What is your creative direction? Do you want a more relaxed and casual feel or are you all about formal and elegant? Keeping this in mind, decide whether you want a daytime event, or evening event. Evening weddings are more costly. Most importantly, never let other people influence your decisions. Planning the wedding, you will come into contact with so many different people, all with their own opinions and ideas of what you want. From wedding planners to family members, never let anyone sway your decisions and pick what you want, for you. Before you contact anyone, take the time to read bridal magazines, research wedding blogs, and develop a clear vision. Pinterest is the perfect tool for this! You can create a virtual pin board to organize all of your wedding inspiration. 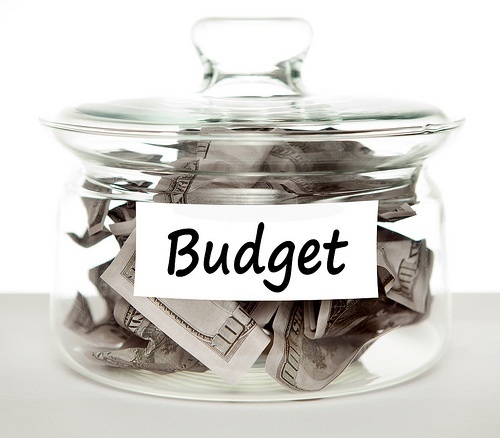 For more information on budgeting and cost considerations, read this helpful article from The Knot!